Aaron Karo first came into my life my sophomore year at the University of Wisconsin-Madison when my friend Jamie forwarded me an email that was so funny I almost peed my pants! From then on, every month, my friends and I got an email from Karo titled Ruminations, where he wrote about what was on his mind: college life, dating, drinking and just everyday stuff. His writing was real, relatable and most definitely, hilarious—plus, he was a nice Jewish boy from New York! Ruminations began in 1997, when as a freshman at the University of Pennsylvania, Karo sent a funny email to just 20 of his friends—through forwards and word-of-mouth, the “email column” spread like wildfire to hundreds of thousands of college kids throughout the country. Twelve years later, Karo still emails out his Ruminations every other Monday and he also created a website, Ruminations.com, in August of 2008 for fans to share their own ruminations, observations and anecdotes. Inspired by his column, Karo authored two books, Ruminations on College Life (this one got me through a bad case of the flu my sophomore year) and Ruminations on Twentysomething Life, both published by Simon and Schuster. 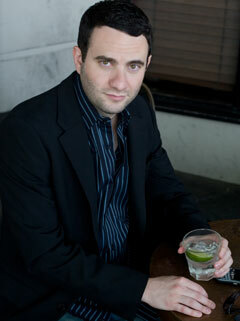 According to his website, after a brief detour on Wall Street, Karo moved from New York City to Los Angeles in 2005 to write sitcoms and perform stand-up. In August of 2008, he performed on The Late Late Show with Craig Ferguson on CBS, and in December 2008, Comedy Central Records released his stand-up album, Just Go Talk to Her. Karo plans to release a new album early next year. 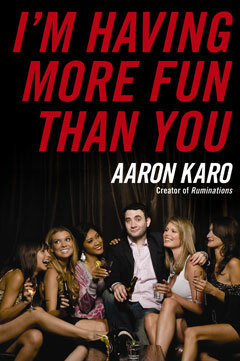 Karo’s third book, I’m Having More Fun Than You , was published Sept. 15 by HarperCollins, and Karo is currently on a 15-city stand-up tour to promote the book. You can catch him at the House of Blues in Chicago this Saturday, Nov. 14—I saw him perform there last year, and trust me, it’s a pee-in-your-pants good time. Oy!Chicago: Tell me about your new book, I’m having more fun than you. 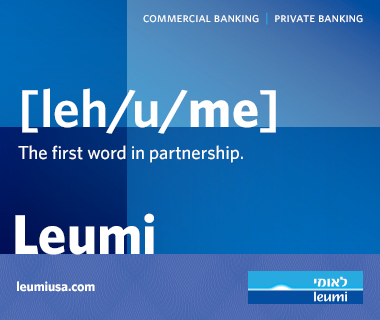 What is your Jewish background? How does being Jewish influence what you do? I was raised Conservative, but I’m actually completely secular now. But I really think that Judaism to me is more of a cultural thing, especially in comedy. Having a comic background and being able to spot another Jew across the room are the more salient characteristics of Judaism for me. What does your Jewish mother think of all this “single is more fun” business? Doesn’t she want grandkids? My parents are not that bad on the spectrum of Jewish parents. Recently, my dad told me that my mom said that she’d be okay with it if I had a kid out of wedlock, just so she could have grandchildren. I think she was kind of half serious. But besides that they haven’t been too bad. Plus, I have a younger sister, so I try to shift some of the burden to her. Is this love for the single life just your shtick or is it really who you are? Would you change if the right girl came along? There’s no shtick! I write what I know. I am single and have been for a little while now, although I have had girlfriends that I do mention in the book. I live what I write and vice versa. I write in the introduction that the book is not supposed to be anti-marriage—in fact I do want to get married, just not right now or on anyone’s timetable. Who is your inspiration? Do you have a favorite Jewish comedian? I don’t really know if there’s an answer to that question. I started writing in college just for fun, for free. I just put my own experiences on paper, nothing really inspired me to do so, more because I couldn’t sleep as a freshman. My favorites are Chris Rock and Jerry Seinfeld, which is kind of like saying your favorite team is the Yankees, but my favorite team is the Yankees, so I feel like I’m allowed. Your whole career was basically born from grassroots social networking even before the Facebook and Twitter stuff. What do you think of social media and viral marketing? Do you use Facebook and Twitter? Well, it’s kind of a blessing and a curse. I mean, on one hand it was nice when I had a giant email list and no one could touch me and now it’s like someone does some tweets and next thing you know you have 10,000 followers. But I also think that it’s not as deep necessarily; I’ve used social media to complement my existing relationships, the email and the website, and I post stuff on Facebook and Twitter. I read all my emails personally so I’ve always been pretty into interacting with fans. What advice do you have for Jewish 20 and 30somethings? The thesis of the book is that one of the benefits of being single in your 20s is that you’re more prepared for marriage, which is kind of a counterintuitive statement that I make. I feel like the longer you’re single the more you know what you really want and what makes you happy. What can we expect from your upcoming show at the House of Blues? So very excited, new show. It’s an all-new show, different from what I did last year in Chicago, inspired by the book. Lots of discussion of relationships, marriage, dating of course drinking—the House of Blues always has the craziest fans! I’m actually talking about kids a little bit this time around because a bunch of my friends started having kids, so that’s a new part of my act. I think it’s really good—I think it’s the best show I’ve ever done.